Use jockey to install the current nvidia driver. Restart, as recomended by jockey. Look under System -> Administration for Nvidia X Server Settings, and Find it listed there. I just checked the package, and the reason is that the nvidia driver does not actually ship the .desktop file in /usr/share/applications/, but in a different dir, and I suppose the postinst creates a link dynamically. This does not trigger a rebuild of the menu cache. What we can do here is: nvidia-graphics-drivers call update-gnome-menus-cache directly after the alternative setup, or better, we add a named trigger "gmenucache" which n-g-d just needs to call in its postinst with "dpkg-trigger gmenucache". So is this fixed, or does the nvidia-graphics-drivers package need updating too? 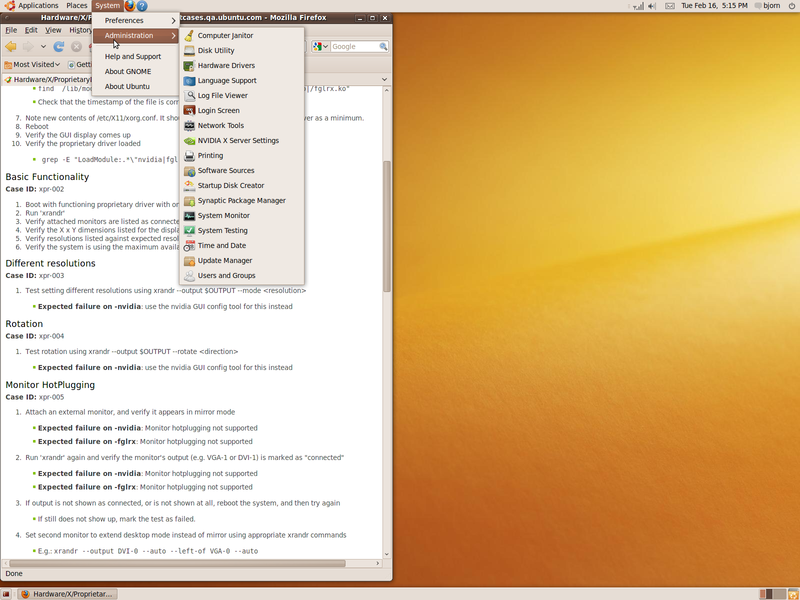 As I pointed out in comment 4, nvidia-graphics-drivers _also_ needs to be fixed to trigger gnome-menus in its postinst. As of 2010-03-10, after installing the nvidia-current driver, I checked the menus. System -> Administration does contain the GUI tool immediately after installing drivers. Unfortunately, after following the hardware drivers tool instructions to restart, the tool disappears from the menu. What Martin said is correct. In the postinst script the nvidia packages create the link to the .desktop file, which explains why this doesn't trigger gnome-menus. I'll set "dpkg-trigger gmenucache" in the postinst scripts so that the problem is solved. shows up in the menu (LP: #522969). 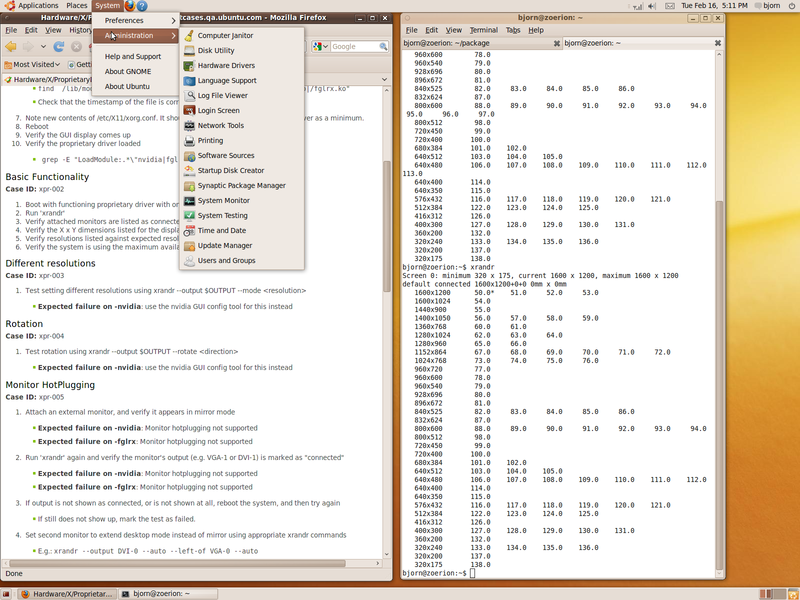 occurred while the X server was not on the active VT.
adjust the GPU fan speed on some GPUs. recent GPUs with SDDR3 and GDDR5 memory. - Add link to libOpenCL.so in /usr/lib and in /usr/lib32. My bug, Missing Menu Entries - Lucid Beta 1 https://bugs.launchpad.net/ubuntu/+bug/542300 was marked a dupe of this? Why? This bug is about Nvidia Settings missing. My bug is "Control center", along with "Configuration Editor", "File Browser", "GDebi", "Report A Problem" and "Root Terminal" are still missing in system > preferences > main menu > system tools.